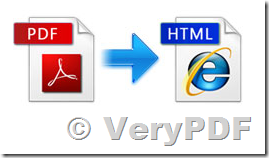 ← How to make htmltools.exe to read HTML files from a network shared folder? I paid for VeryPDF Cloud API Platform, because I need convert PDF to HTML. But I don't know how to do this. Please replace "XXXXXXXXXXXX" with your real APIKEY and pass the URL of PDF file to "infile" option, call new URL from the PHP code, then you will get a HTML file after a few seconds. We hope this solution will useful to you, please give it a try. Yes, I am trying to convert PDF to HTML from PHP. Your answer helped me! Now I can convert from PDF file to HTML file properly. But has error in the special characters. I am converting this PDF file: http://online.verypdf.com/u/81667/edital.pdf . Can you see what happens? (Attached the converted file). Also, the sample code have some options, but I do not know why and when to use them. Exists some doc to explain that? The http://online.verypdf.com/u/81667/edital.pdf file is not exist, can you please resend this PDF file to us for test purpose? >>Also, the sample code have some options, but I do not know why and when to use them. Exists some doc to explain that? -htmlimgtwo: Create two images at one time, one is contain text contents, another is not contain text contents. In general, please don't use this option. -htmlimgpos: Include image positions in the generated HTML files. -htmlformat: Output text information in HTML format. -r=150: Set resolution for conversion, the unit is DPI (default is 150). -f=1: Set first page to convert. -l=5: Set last page to convert. -htmltextoffsetx=8: Set X offset for all HTML text contents. -htmltextoffsety=12: Set Y offset for all HTML text contents. Please feel free to let us know if you need any other information. >>My last question... Exists a method to convert more fast? >>Maybe a option to get only text, without images? If you add "-htmlnoimg" option and remove "-htmlimgtwo" and "-htmlimgpos" options, the conversion speed will be fast. This entry was posted in VeryPDF Cloud API and tagged cloud API, pdf to html. Bookmark the permalink.